“We just got back home and already miss Bermuda. My XYL and I had a good 5 days of escape from our cold Canadian reality and thought this time we would try Bermuda. You can’t miss Ed’s place since many hams have visited him and enjoyed staying and operating at his place. What a beautiful island and a perfect contest position! You could not imagine a better spot overlooking the ocean. Fantastic! Well, the island is too beautiful to spend all of our stay operating so we spent a good amount of our time exploring it and operated the radio when I was “free of family duty”. I thought 100W would not be enough for a decent operation but I was wrong. I enjoyed nonstop pile ups from any direction with an exception maybe from JA. 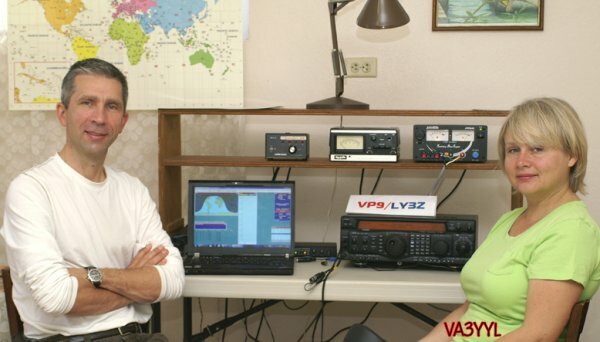 Working with his FT920 and 3 el was a pleasure on the upper bands. Lower bands have dipoles or G5RV to choose from. With part time operating I made around 800 QSOs. Big thanks to Ed for his help and great service! I wish we could have stayed longer. Hope to be back when time permits.